Porters is a well-loved pub on Portsmouth’s trendiest road – Albert Road. In the evenings it is always filled with happy drinkers, enjoying their evening with cheap booze in a welcoming environment. I don’t think anyone who lives in Portsmouth can say they have never been to Porters. It’s one of those places like The One Eyed Dog where, at some point, you will end up stumbling up to the bar, on a Friday night, slurring at the bartender for another drink. Or is that just me? Porters is more than just a pub which fuels my drinking habits but also a restaurant with good, cheap food. Before the other day, I never once considered going in there sober, let alone for a meal. But now I do. 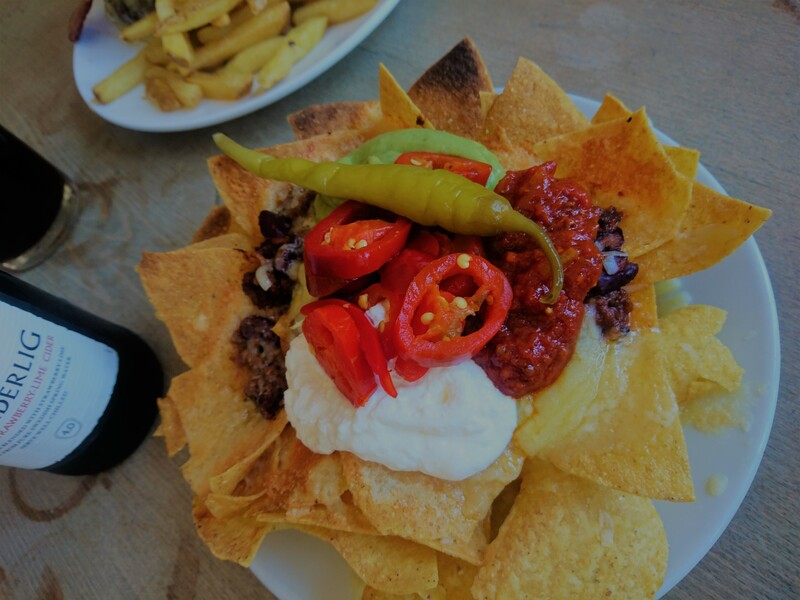 For a pub in the UK, Porters has a very Southern American feel about it with wooden decor and booths, rustic fans and a menu offering Mexican treats. It’s spacious and light inside with plenty of seating for any party size, whether you’re a loner like me or out with all of your mates. Sat reading a menu, I could hear soft hip-hop music playing in the background that gave the perfect vibe for these hot gorgeous days we’ve been having. I spied the large chalkboard which boasted the specials and licked my lips at the sight of the Morrocan Lamb Wrap and Calamari. One look and I was overwhelmed with a range of flavours and styles. I was feeling optimistic. 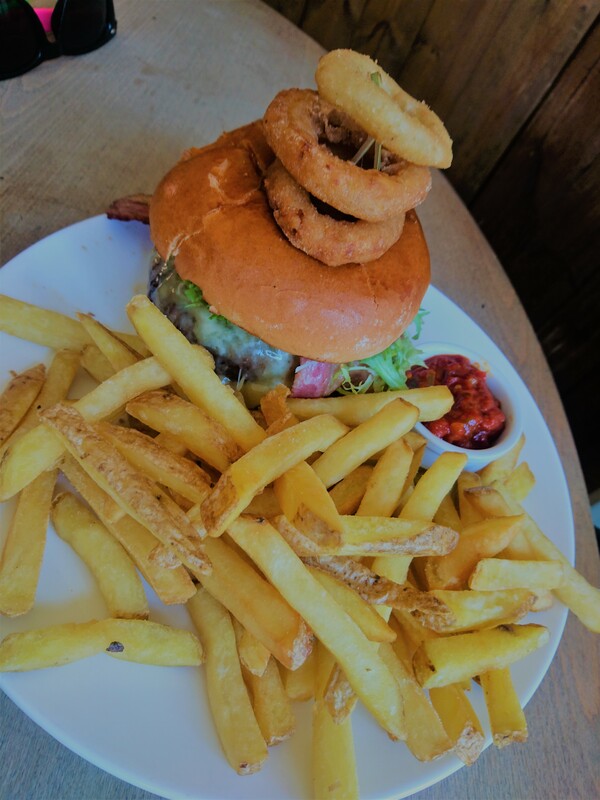 The main menu doesn’t seem to boast many surprises like the special board and it’s what you expect from a pub – burgers, sausages and steaks. It is what it is and I like that sometimes. Some days you want to go to a place and know what you are going to eat. I like some excitement but on occasion, it can be a little daunting. There’s still enough choice to cater to everyone and a nice kids menu too. They do roast dinners on Sundays and as I mentioned before, Mexican options from burritos to fajitas and nachos. The prices aren’t bad at all and they even have deals available on weekdays such as a bean burrito and a pint for £7.95. What else could you want? I ordered a small nachos with beef chilli, a chicken burrito and the Porters burger with cheese and bacon. Each additional item for the burger was a £1 each which I was a little shocked at. Normally, extra items are 50p but a pound for a little bit of cheese? I don’t think I can find an excuse that. As I waited, I further inspected the menu for vegetarian options and desserts. Mainly desserts. That’s important. There were a few vegetarian options such as the bean burrito but they were quite limited. It did have vegetarian sides and substitutes such as sweet potato fries however these weren’t easily identifiable with a little ‘v’. They were all impressive and when they were placed before me I knew I had my work cut out for me. The ‘small’ nachos were not small in the slightest and was a tasty looking pile of cheese, nachos, salsa and guacamole with a large chilli pepper to garnish. The generosity was great however after a few bites I did notice the sauce and cheese were not evenly spread like you would expect. Some bites had too much salsa. Some bites didn’t have enough. For a couple of quid, you can’t complain but I wouldn’t mind paying a little more for extra fillings layered with the chips. Leaving the chilli pepper to one side, I moved onto the burrito, a big slab on a steaming plate with potatoes and salad. As I sliced open the crispy wrap heat poured out and revealed to me thick chunks of chicken and gooey rice. It was the right mix of spice and flavour with a slight tingling on the tongue and not the overpowering “oh my god where is the water? My tongue is on fire”. It was really tasty and the filling was creamy and juicy. I thoroughly enjoyed it and loved the lines of the sauce on top which created a makeshift Mexican flag. Nice touch Porters. 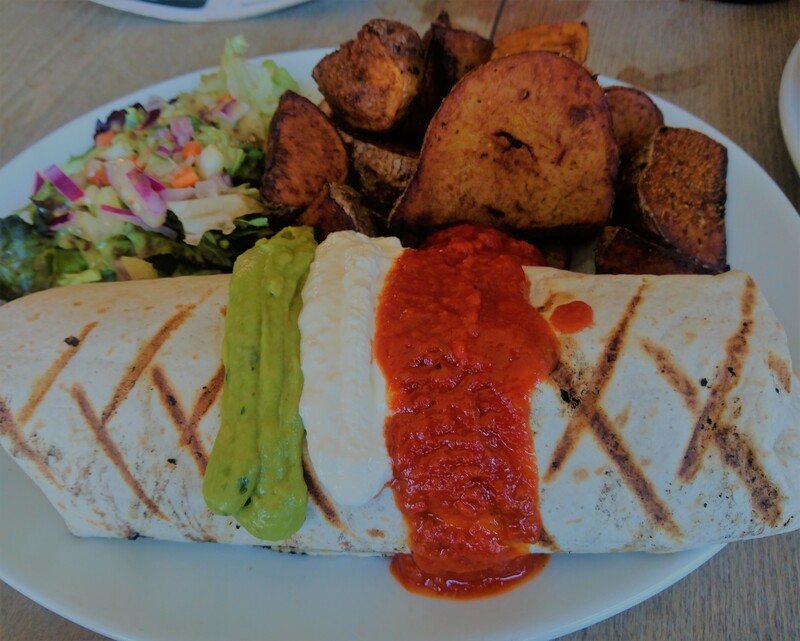 The potatoes weren’t really needed with the sheer size of the burrito but they were cooked to perfection with a spicy, crispy outside and a fluffy, hot inside. They were a nice alternative to chips but I didn’t finish them off. I could have easily shared it with someone else. Finally, the burger. This was a good burger. It was big with a huge portion of chips on the side and some onion rings. The patty was thick and tasty rather than a greasy slab and the extra bacon and cheese wasn’t skimped on. I still don’t think it was worth the extra £2 but at least they made it worth my while. After all of this, I couldn’t move for at least an hour. I sat there cradling my fat belly, quite content. The food isn’t anything out of the ordinary but it is good, fulfilling food that hits a spot. The burrito was the best thing about Porters. Of course, like many things, it isn’t perfect but it seems that they are taking more care and effort with their food. It will be good to see how they improve in the future and what other treats they will offer us. So if you missed lunch or need to line your stomach for a night on the town then Porters is something to consider. No nonsense, tasty and cheap food is always good in my books.